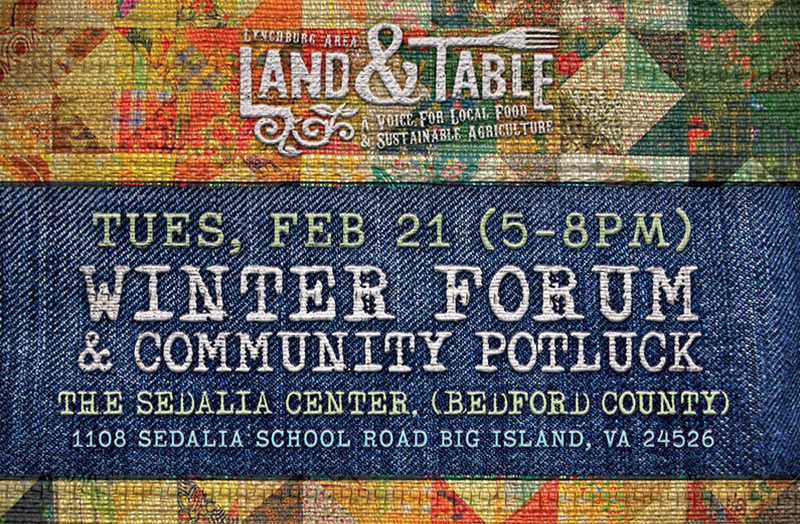 Our monthly Land and Table networking potlucks are back in full swing with our first gathering of the year next Tuesday (5-8pm), February 21 at The Sedalia Center in northern Bedford County (not far from Mountain Run Farm). For those of you who attended this year’s Virginia Association of Biological Farmers (VABF) conference we invite you to share your experience in our open Winter Forum. For those of you who did not attend the VABF conference feel free to share what’s been going on at your farm, homestead, in your yard, or in your kitchen this Winter. 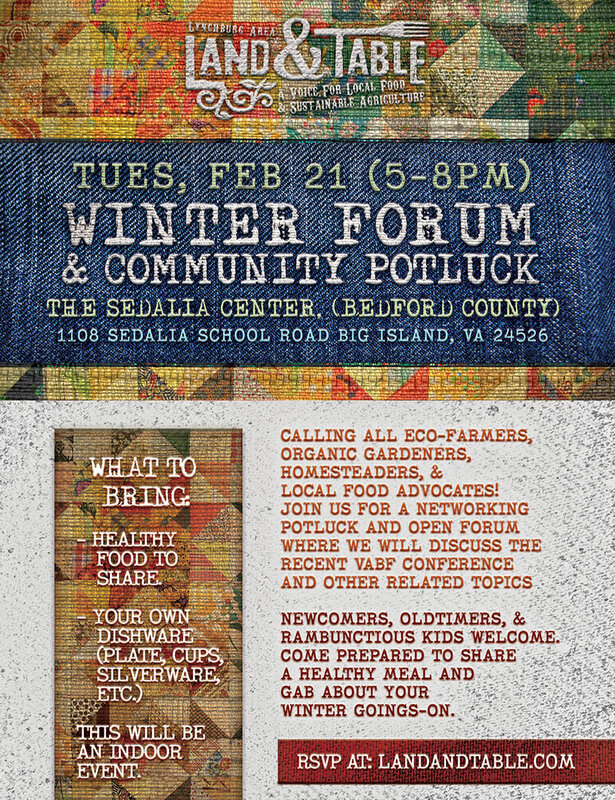 This Winter Forum is a great chance to be inspired and encouraged by other local farmers, gardeners and local food advocates who are seeking to live and grow more sustainably. Newcomers, old-timers, & rambunctious kids welcome. Come prepared to share a healthy meal and gab about your winter goings-on. This potluck will be indoors, so leave the insulated bib overalls at home. Also, I wanted to make a quick mention – we are currently running a fundraising campaign we are calling “20 Days to Grow Local Lynchburg!” until February 28. We are offering ‘Grow Local’ t-shirts with a custom, limited edition vintage design, in exchange for donations. 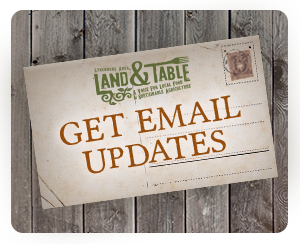 If you did not see the original post about the fundraising campaign and our intentions and dreams for this year, go here and consider supporting our ongoing work to connect and grow the local food movement in the Lynchburg region. A big thanks to everyone who has supported the campaign so far!